Cuisinart Pro Roaster Just $47.40! Down From $180! PLUS FREE Shipping! You are here: Home / Great Deals / Amazon Deals / Cuisinart Pro Roaster Just $47.40! Down From $180! PLUS FREE Shipping! This an essential piece of cookware for family dinners, parties, and holiday celebrations! 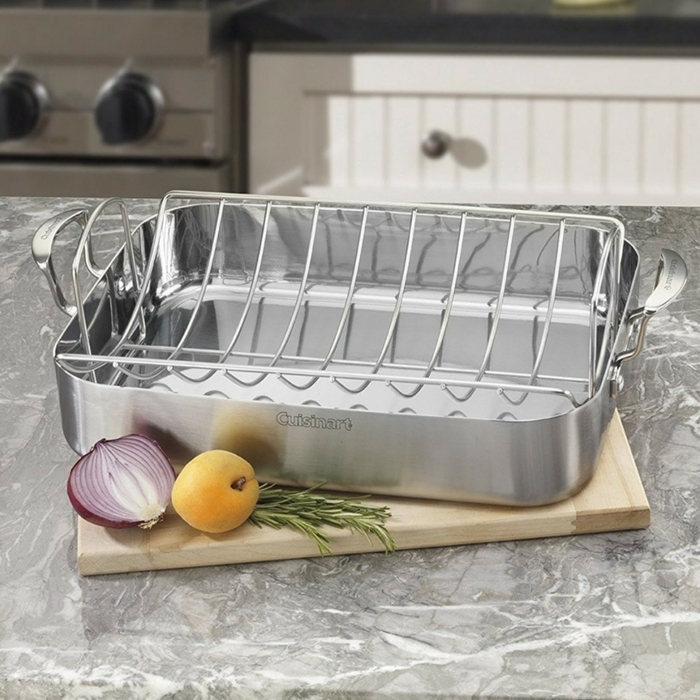 This roasting pans are designed to hold turkeys, chickens, and large roasts. Plus, it’s on a great deal so better hurry and check it out! Head over to Amazon and get Cuisinart Pro Roaster for just $47.40 down from $179.95 PLUS FREE shipping!